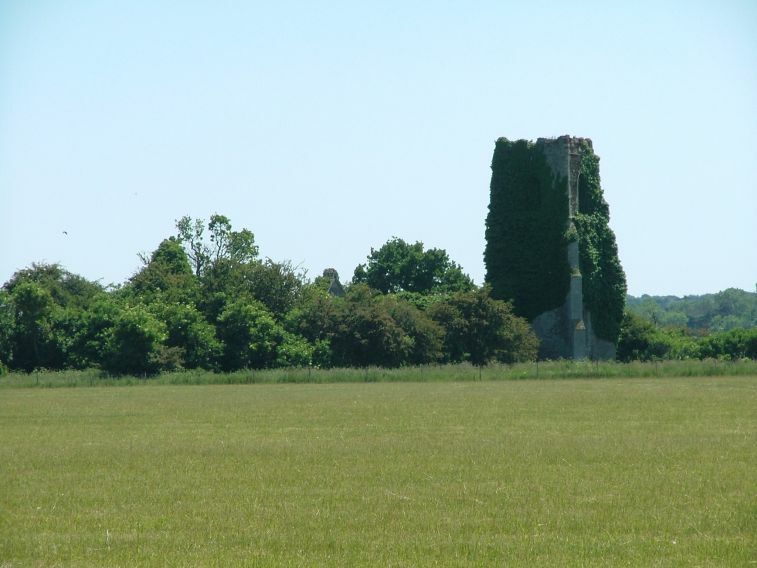 This remote ruin out in the fields of the Sandringham estate was still a working church in the early 19th century. 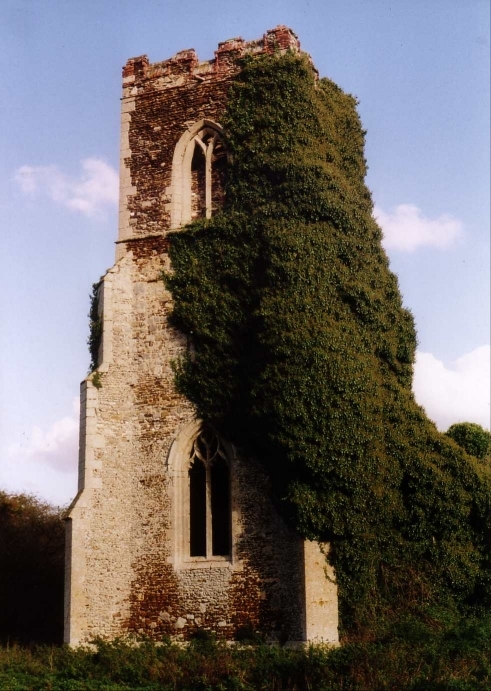 Indeed, there are records of an attempt to repair it as recently as 1849, according to Pevsner. However, the introduction of the mission church on the main road in 1880 led to its final demise, and it was abandoned. 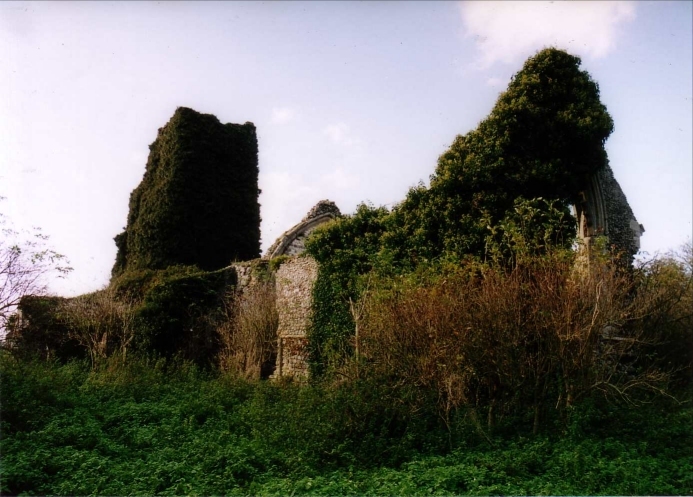 Derelicted by having its roof removed, it declined very quickly, and what remains today apart from the sturdy 14th century tower is just an empty shell, but there is one fascinating detail. 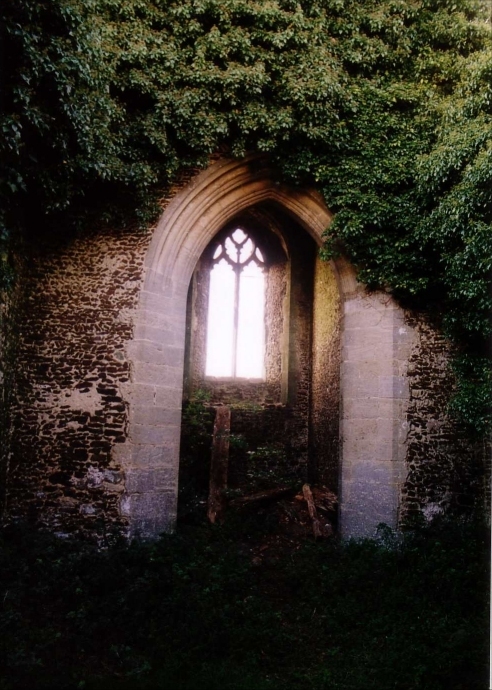 Curiously, the chancel arch was blocked and has a window set in it. This is a reminder that, before the 19th century sacramental revival, many chancels were blocked off and used for other purposes, but it is a rare survival today. 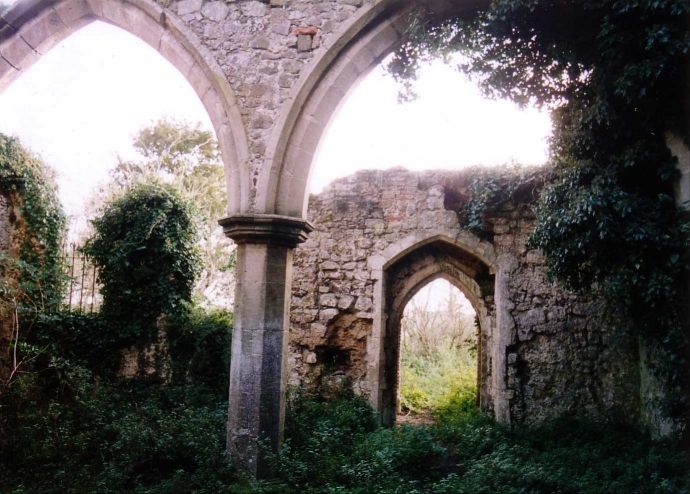 There were two aisles; the north one was demolished and the arcade blocked long before ruination. 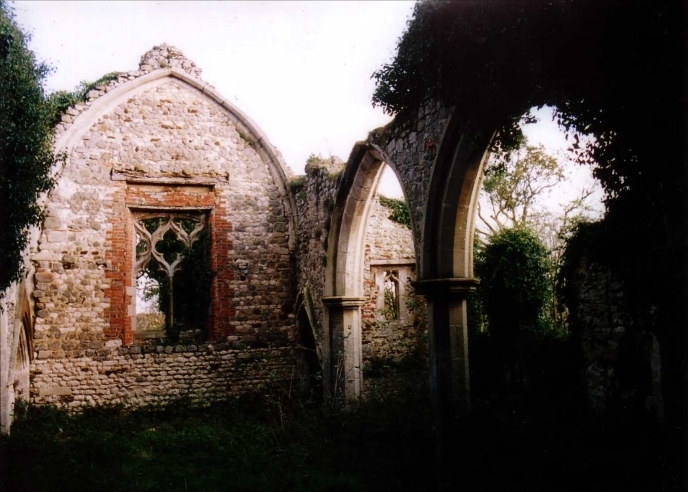 The arcade to the south aisle survives. 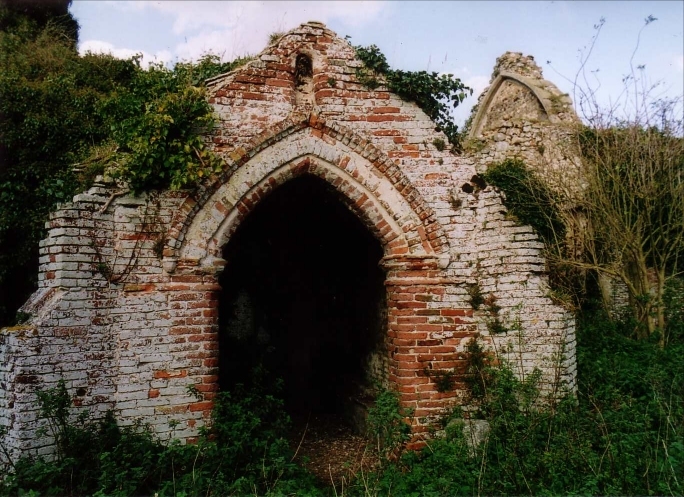 There is a substantial Tudor brick porch, which must have been a fine one. 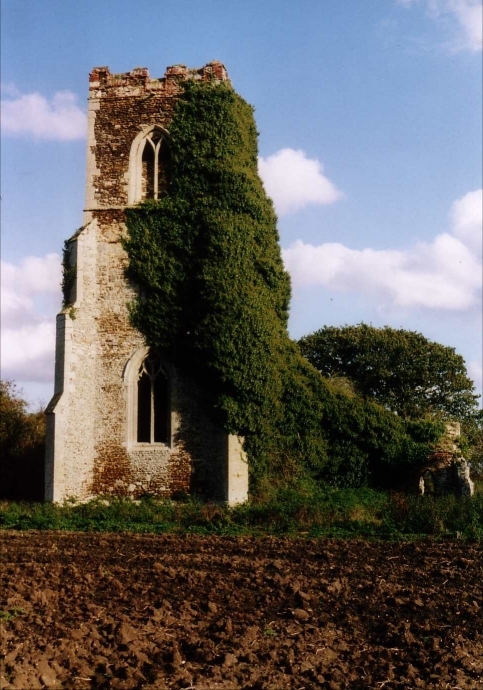 Babingley is one of those places that claims itself as the landfall of St Felix, when he was invited by the Wuffings, the East Anglian royal family, to evangelise their Kingdom. 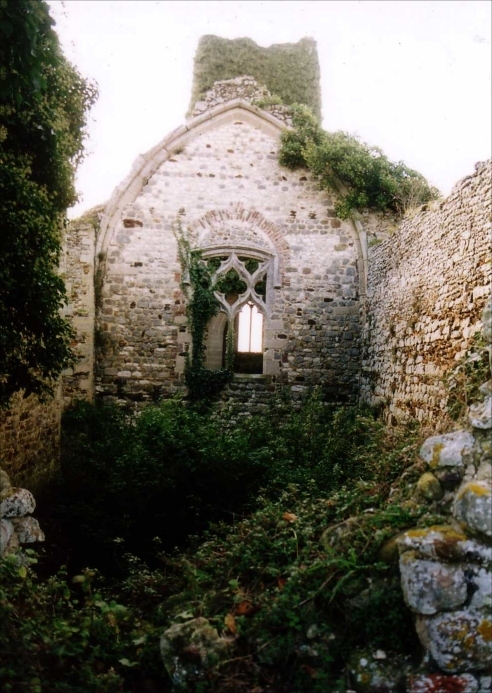 Anything is possible, I suppose, and perhaps Felix did come here, although we are about as far as you can be in East Anglia from the former royal capital at Rendlesham, and Felix made his cathedral on the other side of the Kingdom at Dummoc, the modern Walton. 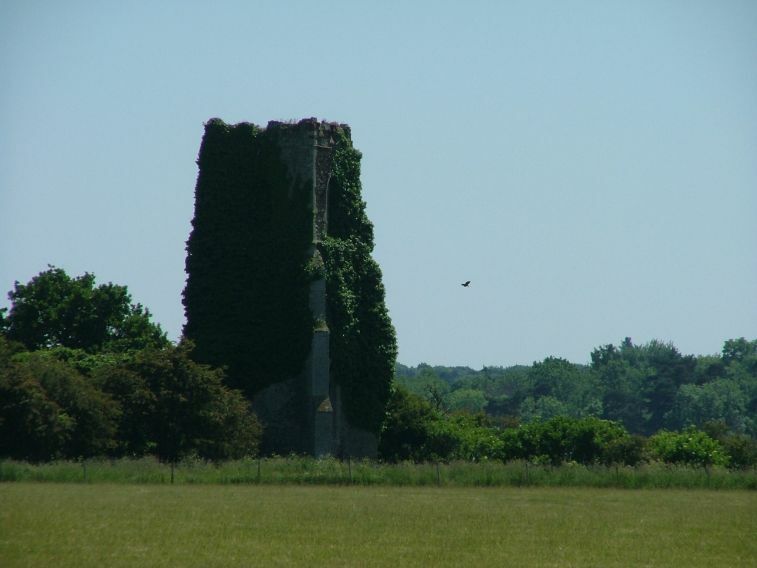 Today, Babingley is mere fields and marshes, the noise of the traffic on the busy Kings Lynn to Hunstanton road fading to nothing as you approach the old church. 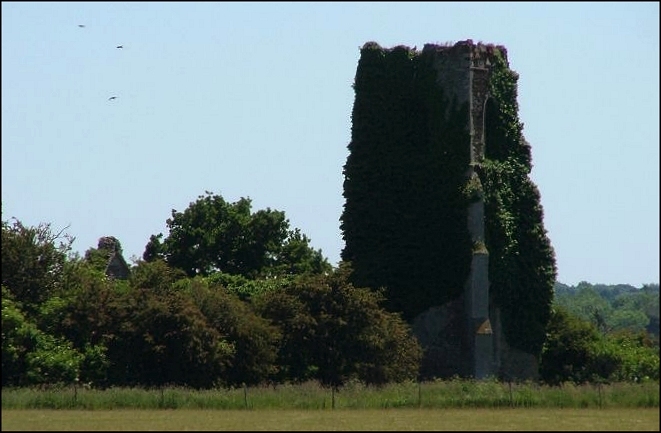 Ivy has mastered this ruin, and it is most dramatic as it rides the fields, the jackdaws whirling above. You can walk to it along a footpath, but I came here during the lambing season, when the footpath was blocked off. 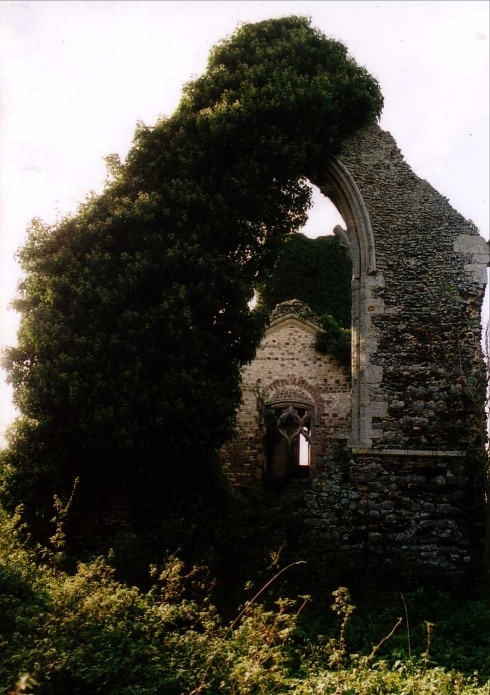 Best to visit ruins like this on a bright day in winter, I suspect. Peter Stephens did, and his images of the interior are below.